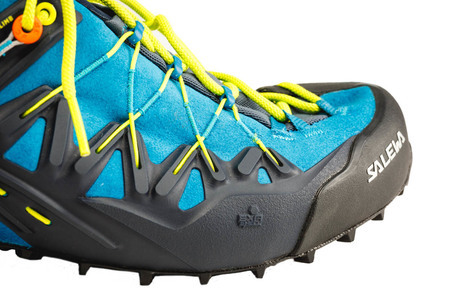 Alpinists want an approach shoe they can really climb in. Conventional models = comfortable + limited climbing performance or good to climb in + limited hiking comfort. The WILDFIRE EDGE is a technical approach shoe for demanding climbers/mountaineers who want greater climbing performance on approaches or easier pitches without having to pull on rock shoes. Plus good comfort on descents. 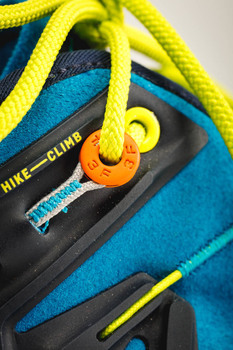 Convertible SWITCHFIT adjustment pulls the foot forward into the toebox, compressing the toes, like a climbing shoe. The EDGING PLATE in the insole provides greater precision & directional stiffness under the toes only, allowing flexibility in the rest of the shoe, to maintain good walking comfort. The Wildfire Edge deserves this award for its very high functional versatility. 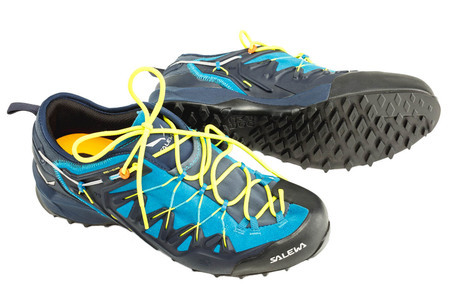 This progressive, fast-moving approach shoe can be easily adapted for a tighter fit, especially at the toe to climb more technical sections without need to change to climbing shoes.